Japanese telecommunications giant SoftBank Group Ltd. has made yet another bet on a promising startup, investing a serious $450 million today in New York City-based real estate technology company Compass. Investing via its $100 billion Vision Fund, SoftBank proclaimed the deal to be the “largest real estate technology investment in U.S. history.” The deal follows a $100 million round led by the venture capital firm Fidelity Investments last month, bringing Compass’s total funding to $775 million, valuing it at $2.2 billion. apanese telecommunications giant SoftBank Group Ltd. has made yet another bet on a promising startup, investing a serious $450 million today in New York City-based real estate technology company Compass. For those unfamiliar with Compass, the company offers an online real estate listings platform that targets both real estate agents and home buyers. Its platform supports the entire home search and transaction process, making it a rival to more established services offered by the likes of Zillow Inc. and Trulia Inc.
SoftBank’s Vision Fund is said to be the largest venture capital fund in the technology industry at almost $100 billion. The fund was created alongside partners including Apple Inc., Hon Hai Precision Industry Co. Ltd. (better known as Foxconn) and Qualcomm Technologies Inc., and is making big bets on startups and other companies it believes can emerge as leaders in different segments of the industry. Previous investments include companies such as Slack Technologies Inc., WeWork Companies Inc. and, most recently, Uber Technologies Inc.
Compass currently operates in 11 U.S. markets, including New York City, Chicago, Los Angeles, Orange County, Santa Barbara and Montecito, San Francisco, Boston, Washington D.C., Miami, The Hamptons and Aspen. However, an expansion to new markets is likely to be in the offing soon, as the company said it will use the new funds to enter into “all major cities” in the U.S.
“Real estate is a huge asset class, but the sector has been relatively untouched by technology and remains inefficient and fragmented,” Justin Wilson, a senior investment professional at the SoftBank Vision Fund, said in a statement. 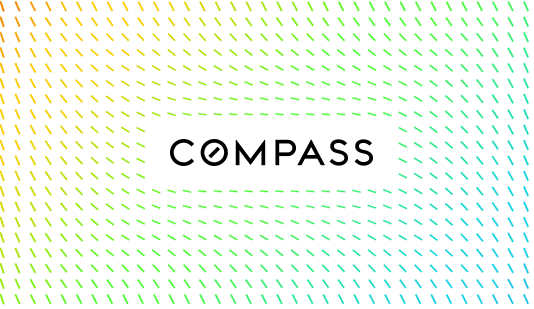 Compass’s potential is underlined by the big strides it has made in the last couple of years, during which it increased its real estate agent base sixfold. The company added that it expects to complete some 16,000 real estate transactions worth a combined $14 billion by year-end.